Wow, it seems like we were just completing our taxes, and yet here we are staring at the end of the year. With only a couple months left in this calendar year, there are a few things we should all look to accomplish to make sure we are maximizing our financial growth. Here are five items that are time sensitive and should be addressed before we ring in 2015. It’s important to take the time necessary to review your benefit elections for 2015. Choosing the right options can be crucial for financial success. Comparing the use of benefits in 2014 and projecting for 2015 may be a helpful exercise. Also, because flex spending plans have “use it or loss it” benefits, you must pick your contribution amounts carefully. Also, remember many plans allow for a grace period or a small carry over amount, but strive to choose the correct number. Take advantage of what is offered to you, but make sure you understand the benefits and options you are choosing. I recently blogged about open enrollment. You can read the full article here. For those of you who purchase individual health insurance policies, now is the time to review your policy renewal. With health insurance costs projected to rise this year, it’s worth your time to read the fine print and make sure you are properly covered…..as well as, to make sure you are purchasing the plan that’s right for you and your family. Most health insurance plans operate on a calendar year basis, so don’t let benefits go unused. If you have pierced your out of pocket maximum and require an elective procedure, talk to your doctor about knocking it out prior to year end. Often, a quick call to your provider is helpful. For example, flu shots and other vaccines are good examples of benefits that often go unused. I must sound like a broken record, but I cannot stress enough the importance of tax planning. With taxes being the single largest recurring expense that we pay, it’s imperative that we strive to manage our tax liability. A pro-active projection will allow for adjustments to be made while we still have time before year end. Remember, most folks simply handle their taxes reactively, which can be costly. By performing projections, the taxpayer can manipulate tax withholding, as well as, implement tax-saving strategies to work hand and glove based on current year income…..not based simply on last tax-year’s numbers. This is critical for small business owners who either have variable income or in a growth phase. But, remember tax planning is not just for business owners. Dovetailing nicely with number 3, retirement contributions deliver a one-two punch to grow wealth. First, making a contribution into a retirement account is an investment in your future, and you’ll be happy you made that contribution when you reach retirement age. Second, contributing into a tax-deferred retirement account (401k, 403b, SEP, IRA,…etc) will reduce your current tax bill. For example, an employee under the age of 50 and in the 28% tax bracket who contributes the max amount of $17,500 into their 401k will save at least $4900 in taxes. Think of it this way: that’s a 28% return on your investment!!!! Where else can you get that type of return that is guaranteed? While I subscribe to the theory of “time in the market is more important than market timing,” it doesn’t mean that we should simply sit on our portfolio and hope for the best. Here are a couple proactive strategies that can improve efficiency. Harvesting a capital loss can save tax dollars, and, if done correctly, can keep you in the market to capture additional growth. Simply sell the asset with the loss and repurchase another asset that covers the same asset class. Please note that any harvesting of losses should be done while staying in compliance of the “Wash Sale Rules” as stated by the IRS. For those in the 15% tax bracket, there is a gift the tax code provides. You can fill up the remaining portion of the 15% tax bracket with long term capital gains and not pay tax on those gains. Here again, tax planning is essential to understand how much room is available for these gains. This tool can be used to create tax-free retirement income, or, if the income is not needed from the sale of an asset, resetting the cost basis can be valuable down the road. A good use of this strategy is when a job loss or illness causes someone to temporarily drop into the 15% tax bracket. 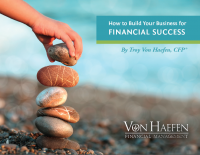 Your financial success is dependent on your efforts to create efficiencies. While many of you who read my posts are clients, some are not. My clients and I work year round to seek efficiency and grow wealth. 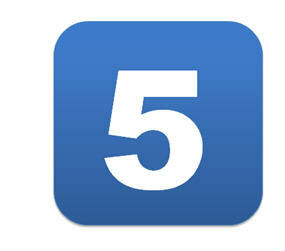 If you are a do-it-yourselfer, these five items can help you to improve your financial situation. A word of caution: as with any financial decision, proper implementation is key. If you have any questions, ask your tax preparer or fee-only financial advisor. This entry was posted in Fee-Only Financial Planning, Financial Planning, Investments, Retirement, Savings, Taxes. Bookmark the permalink.